This oldie-but-goodie side dish has been updated with new pictures & a few small tweaks to the recipe. We still make these green beans weekly! I love taking an every day veggie and transforming it with super simple ingredients. 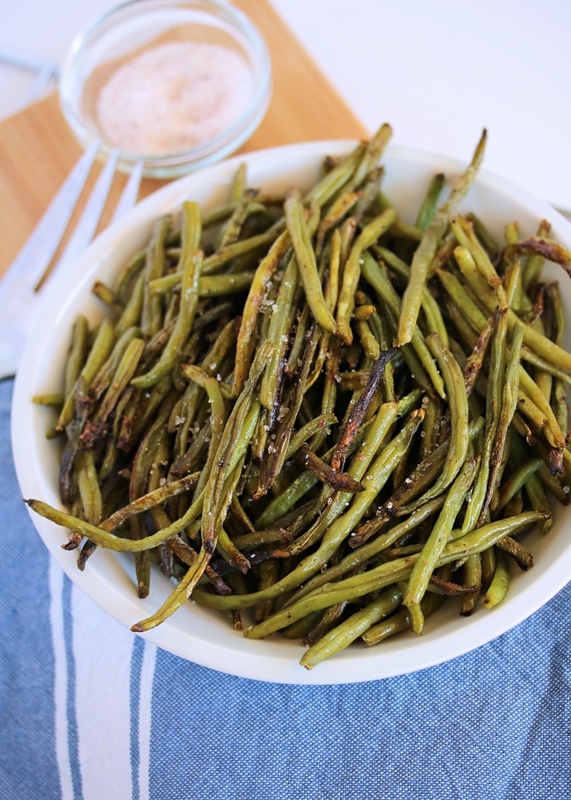 In this recipe, green beans get a crispy twist with savory seasonings and some time spent roasting in the oven - which always seems to take a vegetable's flavor up a notch. 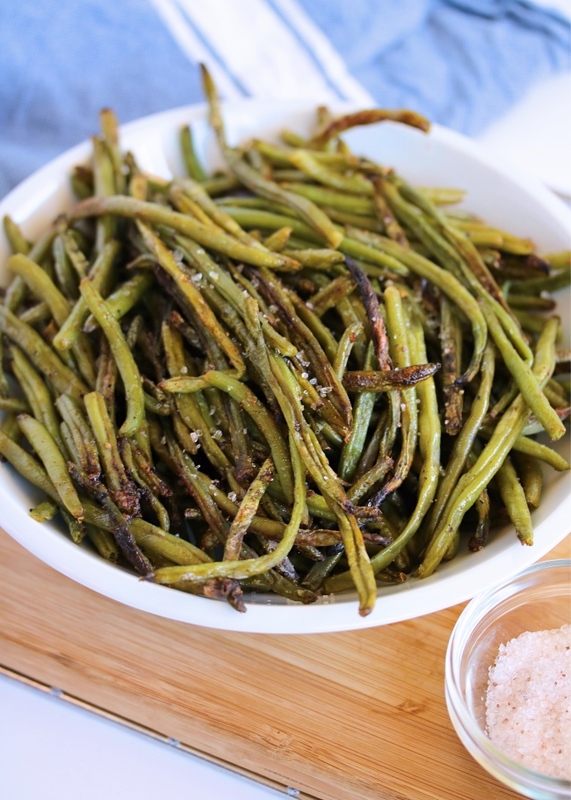 The green beans cook up almost like "fries" - tender on the inside, but crunchy and crisp on the outside. 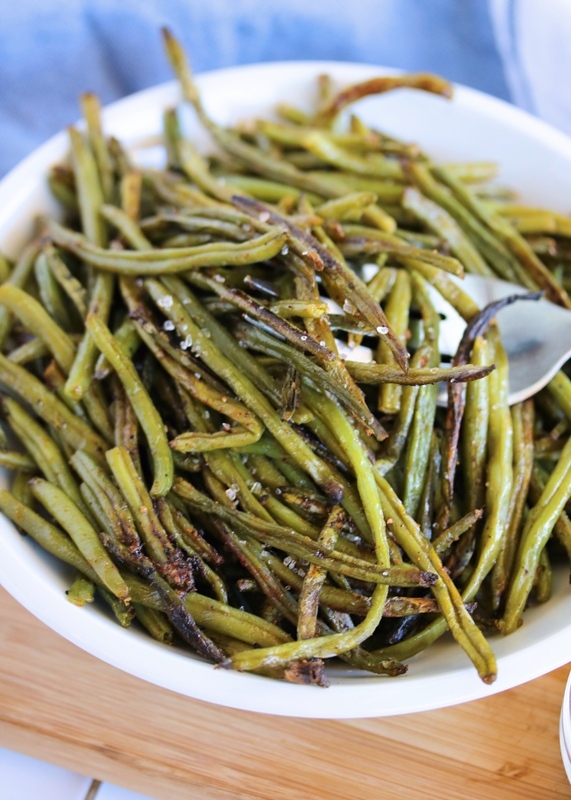 Perfect for snacking and excellent as a simple side, these green beans have remained a go-to recipe for us for years. 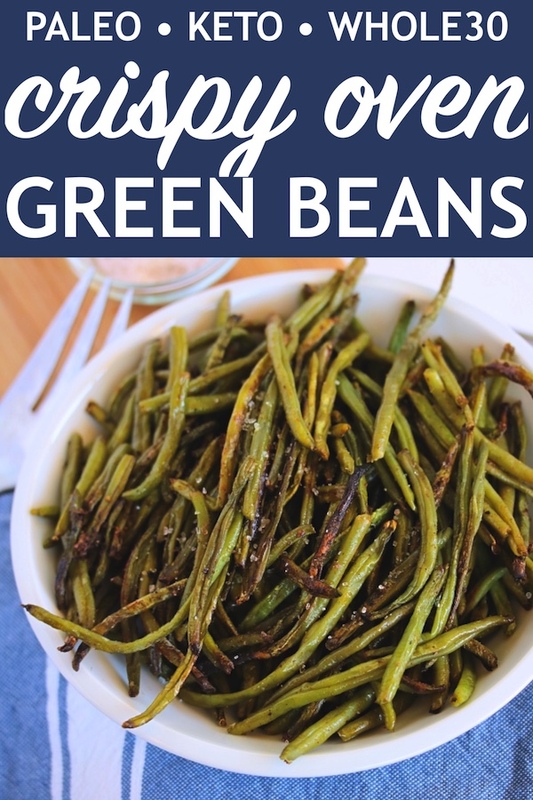 Simply preheat the oven, toss the green beans with a little EVOO and spices, and bake until crisp. I often turn on the broiler for the last few minutes, just for a little extra crunch. We serve these with steaks, under curries, and alongside just about anything. Change up the spices to fit your flavor profile, and enjoy! Preheat the oven to 450ºF. Line a baking sheet with parchment paper or foil and set aside. To a large bowl, add the green beans, oil, and spices, and toss to coat. Spread the green beans out on the lined baking sheet, and transfer into the oven. Bake for 25 minutes or until they look dark & crispy around the edges. Turn on the broiler for a few additional minutes for extra crisping. Thanks for sharing the idea of healthy snack in the evening. It will give me important nutritions plus I will feel full after having it. So yummy and so easy! Is that truffle salt in the bowl next to finished product? That would be good! Thanks for this recipe!